Any increase in taxes, fuel prices, surcharges etc. Surcharges if any then need to pay extra. 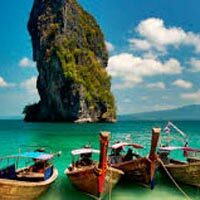 Thailand Tourist VISA Charges: 1,100 Thai Baht (Approx.) Per Person on arrival. Note: Hotel room subject to availability & Thailand SIC timing: 8:30 am - 6 pm, Check in time: 2 pm and Check out time:12 pm. Tourist Visa subject to Embassy. 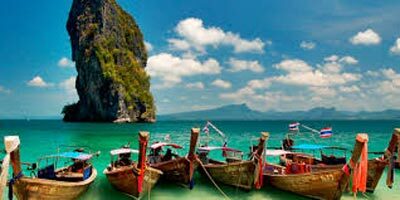 Upon your arrival in Bangkok, you will be given a warm reception and will be transferred to Pattaya, which is a short 2 hour drive from Bangkok. After check in at hotel, evening you can proceed to mesmerizing Alcazar Show a world-famous cabaret, which can give the Lido and Moulin Rouge of Paris a run for their money. Featuring a grand theatre with 1200 seats and thousands of watts of pulsating sound, the Alcazar Show is a unique blend of acting, stage design, costumes and glamorous actors performing together in an unforgettable melange of light, sound and colour. Truly, a visit to the Alcazar Show could well become the highlight of your far-eastern journey. You’ll spend the night at your hotel.